1. A pair of patent red pumps with a memory-foam insole supportive enough to help you out-run a dinosaur (or just dance your heart out at your best friend's wedding). They're also available in several different colors, but patent red's currently the only one with a full range of sizes in stock. 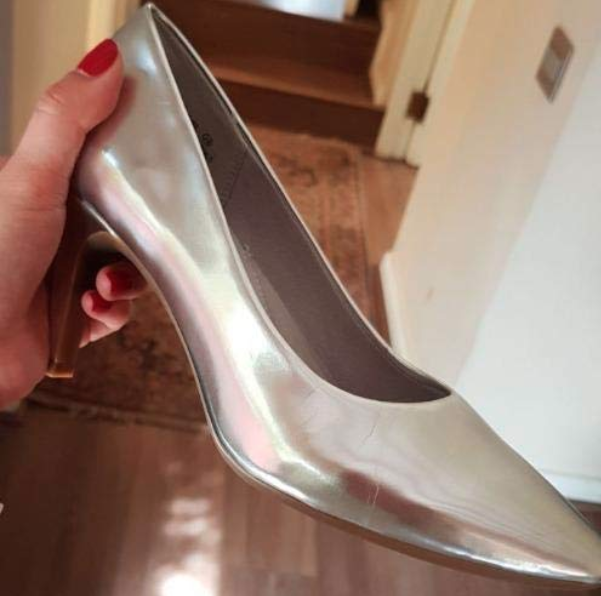 Promising review: "I actually bought these shoes for a cosplay!!! Claire Dearing from Jurassic World. I bought my husband the inflatable T-Rex costume. We go to Cons and I light up my 'flare' (a plastic red glow stick), and he chases me. SO YES — they are VERY COMFORTABLE. Comfort Plus is ALL I will ever buy when it comes to heels. As Claire, I am RUNNING in these during the Cons... walking until he suits up as the T-Rex, and then the running ensues. So they must be comfortable! They are nicely padded, the toe-box is big enough for comfort, and they don't fall off. Good sized heel, too. I have high arches and these support them, too, very nicely. I do also wear them for business related meetings and stuff, so they would work for "normal wear", in case you don't want a T-Rex to chase you." —Stephanie H.
2. Light-weight foam wedge sandals that will give you three inches of height without any of the associated foot, knee, or ankle pain. Get them on Amazon for $32.99+ (sizes 5-11 and full-sizes only; two colors). 3. 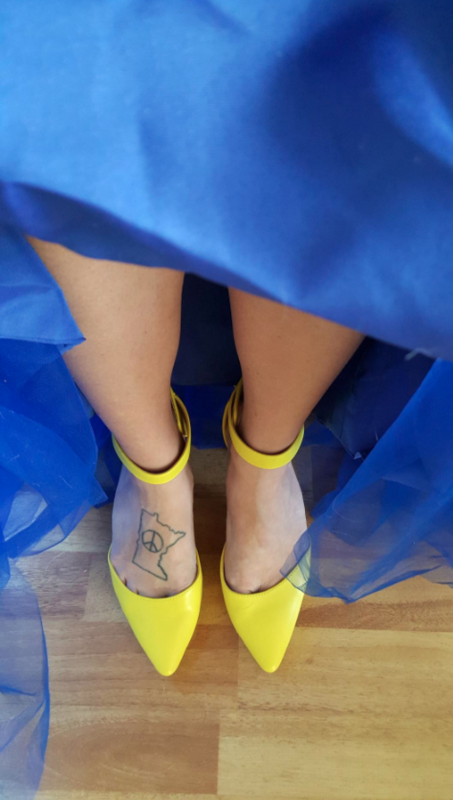 Low-height (2.5") pumps available in multiple colors perfect for any occasion where you would reaaaallly rather just wear your favorite flats. Get them on Amazon for $17.99+ (10 colors available in most sizes 5-12, including most half sizes). 4. A trendy low-height ankle-strapped pair you can wear literally anywhere, whether you're a bridesmaid or just heading into a regular old workday. Get them on Amazon for $21.99+ (15 colors available in sizes 5-12, including most half sizes). 5. Psst, they also make the same style with a block heel, if you long for a bit more stability (or just like the look)! Get them on Amazon for $25.99+ (eight colors in sizes 5-11, including most half-sizes). 6. Faux-leather Chelsea boots with a slight platform — they'll add a 90s vibe to basically any outfit you decide to pair them with. Get them on Amazon for $26.99+ (sizes 5.5-11 in black, or 5.5-10 in brown). 7. Some wedge booties that you can buy now and wear all the way through fall and winter. Get them on Amazon for $25.99 (color availability depends on your size; sizes 5-12 and 16 colors available). 8. Strappy low-heel sandals available in basically every color of the rainbow, at a price that lets you get a few colors to go with all your favorite outfits. Get them on Amazon for $21-35 (color availability depends on your size; there are 30 colors in sizes 5.5-11) or check out a similar style with a much higher heel for $21.78+ (color availability depends on your size; there are 15 colors in sizes 5.5-11.5). 9. Or a pair of medium-heeled sandals that may not be the best shoe to stand in all day, but are a safe bet if you're looking for the perfect balance between comfort and stilettos. 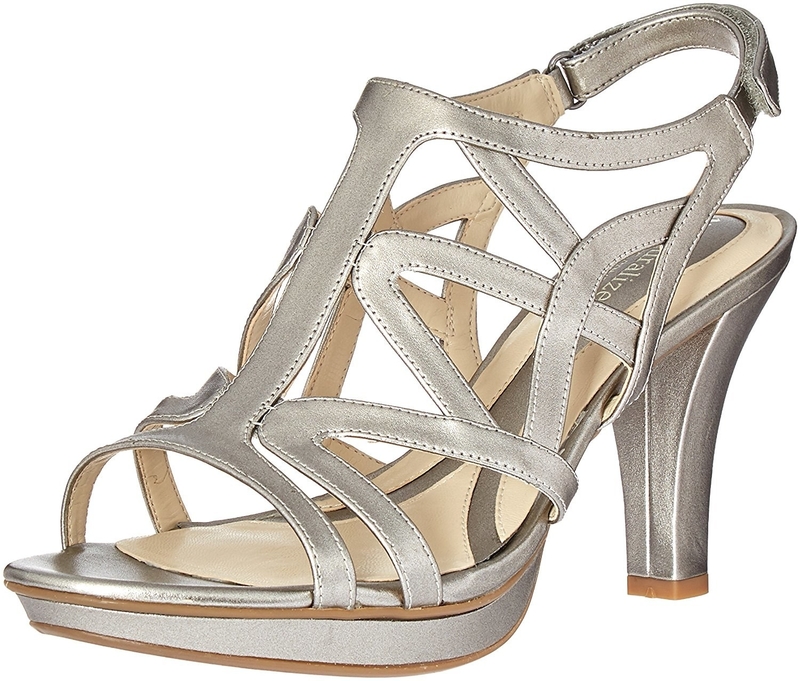 Get them on Amazon for $38+ (though most seem priced at $44.99 or $99.90; the Sam Edelman site has them for $100. Color availability depends on your size; there are 33 colors and sizes 4-12, including half-sizes and wide options). 10. Cut-out booties you can wear (almost) year-round, except on the coldest days of winter and the hottest days of summer. Get them on Amazon for $20+ (colors available depend on your size; sizes 5.5-11, 13 colors available). 11. A pair of basic pumps that come in several different neutrals, so you can get just a one or two colors and wear them with basically everything you own. 12. A pointed-toe pump perfect for power-stepping your way through any part of life, whether you work in an office or just want to feel fabulous on date night. Get them on Amazon for $25.05+ (though most pairs are $46-$99; they retail at Naturalizer for $99. The color availability depends on your size; there are 18 colors, and sizes range from 5 to 12, including most half sizes, plus wide and narrow options). 13. A strappy pair with a 1/4-inch platform, so you get the extra height without the extra woes of wearing heels higher than three inches. Get them on Amazon for $35.25+ (most pairs are around $60, which is comparable to the current price on Naturalizer's website. The color availability depends on your size; there are six colors, and sizes range from 4-12, including half-sizes and narrow/wide options). 14. A pair of summery wedges you can count on no matter where your weekend takes you, from brunch to bars to the boardwalk. They are ~loud~, but that makes them fun! Get them on Amazon for $19.80+ (5 colors, sizes 5-9, though color availability depends on your size). 15. Ankle boots with a just-subtle-enough layer of rose gold sparkles on them to give 'em a little bit of sheen. Promising review: "Pros: True to size (I ordered a 6.5 and it fits exactly as expected.) The shoes appear to be well made — no left over glue or thread anywhere. The dye is consistent throughout the shoe, no blotches. I've worn these for a few weeks now and they're holding up very well. They are of average comfort — about what you'd expect for a boot with a heel. I can wear these for a few hours without complaint. And have I mentioned they're adorable? :) I'm usually leery of things with buckles, but these don't look cheesy and don't have that cheap look I hate. Get them for $16+ (colors vary depending on your size, sizes 5-11 and 30 colors) and some highly-rated cushioned insoles for $12.99+ on Amazon. 16. Cork-heeled sandals ready and waiting for the next time you go out dancing, but also down to go to dinner with your best friend. Get them on Amazon for $39.99+ (two colors in sizes 5-11 including half-sizes). 17. A pair of cork wedges with a marshmallowy cushion so you can wear them for hours without thinking about your feet even once. Get them on Amazon for $39.97+ (most are around $60-$70, a similar price to most wedges on the Clarks website. Five colors in sizes 5-12, including half-sizes and wide styles). 18. Another not-too-heavy, solidly constructed pump with a layer of cushion in the sole to help keep your feet happy from sunup to sundown. Get a pair on Amazon for $9.99+ (many pairs around $30-50, color availability depends on your size; there are 22 colors and sizes range from 5-12, including some wide options). 19. A low heel that ties at the ankle for extra stability disguised as something cute AF. "Holds up to city walking. Tying them comfortably takes a bit of practice, but it's the first truly comfortable pump I've owned. They are just wide enough in the toe and do give a bit over time." —A.O. Get them on Amazon for $32.99+ (most pairs $40-80, compared to $89-99 on Franco Sarto; available colors depend on your size; sizes 5-13 and 14 colors). 20. Block-heeled oxfords that are practically begging you to wear them with your favorite plaid skirts. Get them on Amazon for $23.99+ (three colors available in sizes 4.5-10.5). 21. A pair of almost-sling-backs with a flexible strap that lets you jump, dance, run, and — most importantly — walk without any troubles at all. Get them on Amazon for $25.49+ (sizes 5-11, including half sizes and wide options, two colors). 22. A pair of pumps with an ankle strap (which will help support your ankles) and block heels (which are easier to balance in) that make these higher heels at least a little more bearable.